CLEAN CARFAX TAHOE. BLUETOOTH, REAR DVD, HEATED FRONT & REAR LEATHER, 3RD ROW, 4X4! 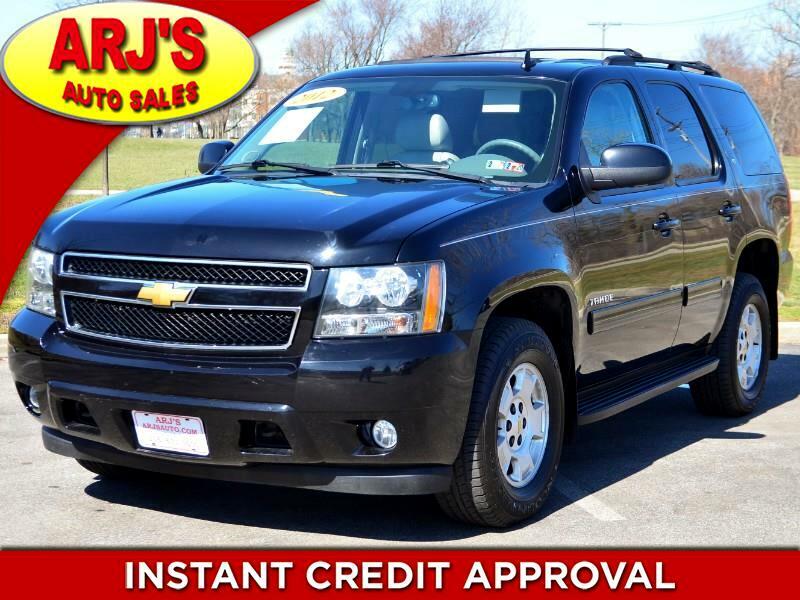 ARJ'S AUTO SALES IS PROUD TO PRESENT THIS SHARP CHEVY TAHOE LT 4X4. STYLISH IN A BLACK METALLIC EXTERIOR WITH A GREY LEATHER INTERIOR. GREAT CONDITION AND EQUIPPED WITH A REAR DVD, HEATED FRONT AND REAR SEATS, 3RD ROW, SEATING FOR 7 PASSENGERS, WOOD GRAIN ACCENTS, BLUETOOTH AND STEREO CONTROLS ON THE STEERING WHEEL. OUTSIDE, YOU HAVE RUNNING BOARDS AND ALLOY WHEELS WITH GREAT TIRES. A 5.3L V-8 AND DRIVER SELECTABLE 4X4 ARE HERE TOO!